Volkswagen has been silently updating their model line up every 6 months or so to include small features that help the customer. A new update is scheduled for launch during the festive season. 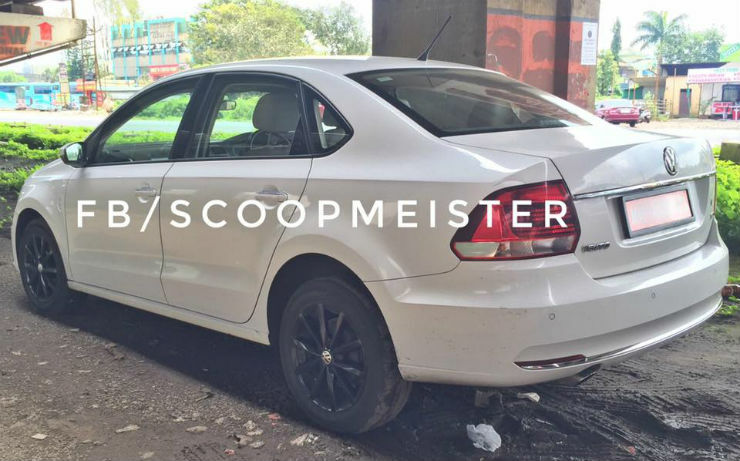 The vehicle was showcased at the 2016 Delhi Auto Expo as well and now the vehicle has been spied without any camouflage. 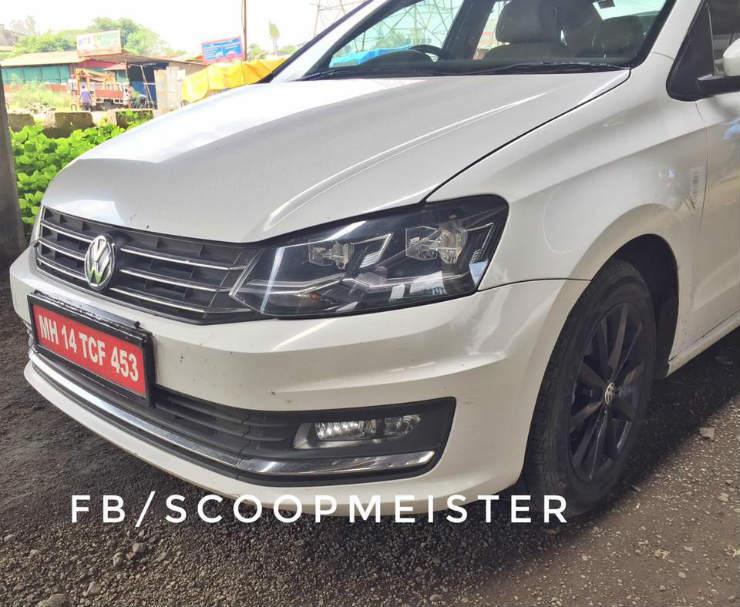 The most noticeable change is the fact that the new vehicle now gets LED headlamps similar to that on the Jetta and the previous Passat which makes the car look a lot more aggressive. 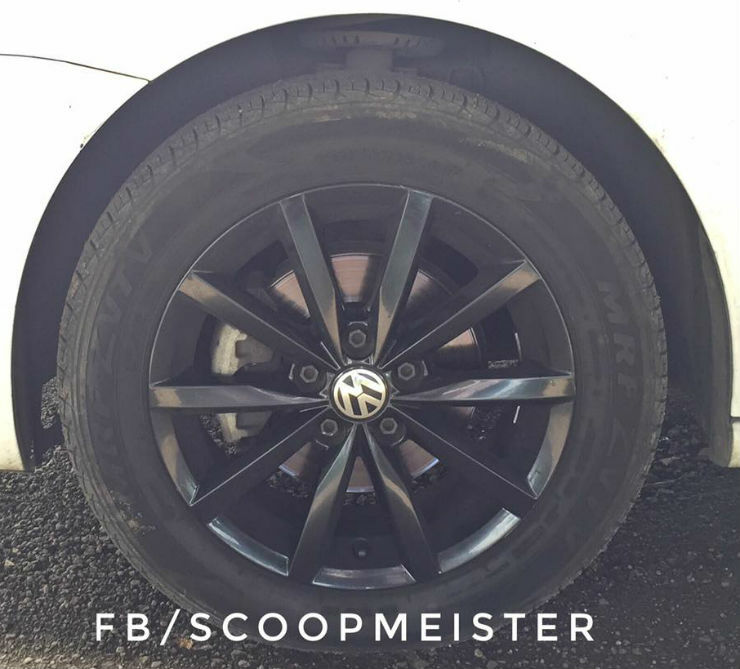 In addition to that, the vehicle that was spied had a new set of 10 spoke alloy wheels which were in black, something that only the Rapid previously had. Visually, there is nothing new other than that. Recently the Vento received an update with LED tail lamps, touch screen system, auto wipers and retractable mirrors so there is not much change expected on the features front. Under the hood though there are slight changes expected. The 1.5 liter engine was a part of the diesel gate issue which means that with this update, they will update the engine as well. It is now expected to be a little more powerful and make roughly 110 Bhp. This will be courtesy a new turbo unit. The vehicle will continue to come with a DSG and a 5 speed manual option in the diesel front. The 1.2 liter TSi petrol engine with the DSG combination is also expected to continue. The launch is expected near the festive season to bring in more and more customers into the showrooms.